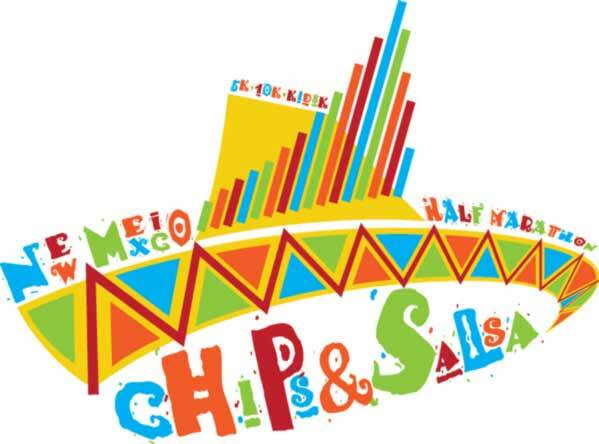 RunFit is proud to announce the 16th Annual NM Chips and Salsa Half Marathon, 10K Run, 5K Run, 5K Walk and Kids K. This is a must event for any seasoned runner or one who just wants to come out and join in the fun! Age Group and Overall Awards including Half Marathon finisher medals upon completion as well as post event refreshments. There is no better time to visit Albuquerque: NM State Fair, Old Town Salsa Fiesta, hot aire balloons and the smell of NM green chile! Register today and join the hundreds of participants at the start! To learn more about the NM Chips and Salsa Half Marathon go to: www.irunfit.org. Note: Please continue to check our RunFit website: www.irunfit.org for the most current event information. NOTE: ALL PARTICIPANTS SHOULD ARRIVE PRIOR TO 6:30 A.M. IN ORDER TO PARK AND BE AT THE START ON TIME. If you are not able to pick up your packets in person, you must make arrangements for a representative to pick up your packet. Note: Any out of town participants may pick up their packet on race morning at the registration area: 6:00 – 6:30 a.m. The Start is within a short distance from the finish. PLEASE REVIEW THE COURSE PRIOR TO THE EVENT. SEE COURSE LINKS BELOW AS WELL AS THE POSTED COURSE MAP AT: www.irunfit.org. Race Day Registration will be located at the Southwestern Indian Polytechnic Institute - SIPI. All participants who would like their finish time and be eligible for age group and overall awards MUST wear a timing chip. The chip must be worn on the shoe using the zip ties provided. The Wingman Pacers will be running with you at the NM Chips and Salsa Half Marathon. The Wingman Pacers are Active Duty and Veteran service men and women who provide a volunteer pacing service for full and half marathons. They will be at the race to 1) Help organize race participants at the starting line in groups based off of race completion goals, 2) pacers will be wearing a shirt that identifies them as pacers and will be carrying a pacing sign with their group’s planned completion time, and 3) pacers will be there to help motivate runners and coach them to help runners of all levels achieve their goals. Look for the Wingman Pacers at the starting line! PLEASE USE DESIGNATED PARKING AREAS/SPACES ONLY. DO NOT PARK ON ANY OF THE INTERIOR ROADS ALONG THE COURSE. All races will start promptly at the designated times. Allow plenty of time to get to the Start Line in order to seed yourself according to your projected pace time. If you are driving to the race plan to arrive early. The Half Marathon, 10K and 5K events are with a GUN START AND CHIP FINISH (The official time will start when the gun goes off). All participants who want to be timed as well as be factored into the results MUST wear a timing chip/bib (see “RESULTS” information below). There are a number of fine hotels in and around Albuquerque. In order to find the closest to the event but still within a short driving distance to the start look for “Journal Center” Hotels or Lodging. Half Marathon participants may check gear near the Start Line (Registration Site). Volunteers will assist runners in identifying their gear bag. Runners can claim their gear after the race near the finish. Show your bib number to the volunteers at the gear pickup location to claim your bag. Allow plenty of time to get to the Start Line in order to check any gear and position yourself according to your projected pace time. Please note: Parking is near the Start and Finish of the event making it easier for you to leave items in vehicle if necessary. Strollers and baby joggers are permitted on the 5K course only. Strollers and baby joggers must start at the back of the pack and your child must be secured in the stroller at all times. The Race Director will monitor the weather and make a decision if any action will be taken to modify the race. Possible changes include: altering the start time for the race or in extreme situations, cancellation of the event. Please listen closely to all public address announcements at the starting line of the race. Visible lightning will cause the race to be postponed for a minimum of 15 minutes. Additional sightings will continue to delay the race in 15 minute increments. If extreme heat is predicted, extra water will be provided to the athletes, prior to, during and after the event. The medical team will be alerted that athletes may require additional medical attention during and after the event due to the high temperatures. Each participant will receive a Race (Bib) number that must be worn on race day. DO NOT alter your race number in any way. Your bib number MUST be visible and worn on the front outside of all clothing during the entire race so that it may be clearly seen. Bib numbers are non-transferable and MUST be worn by the runner to whom it is assigned. Non-registered runners are not permitted on course. Register by August 20, 2019 and receive a custom race bib with your name on front (Half Marathon, 10K and 5K participants). The event officials have the right to withdraw any runner from the race that appears in distress or at risk. If you have a health or medical problem at the Finish Line, you will be directed to the Medical Area. Please cooperate if you are asked to go for a checkup. Only runners requiring medical assistance will be permitted in the Medical Area. If you feel that you need help at any point, please ask for it! Once you cross the finish line, you will be greeted by volunteers. Chips and Salsa Half Marathon Finisher Award (1/2 Marathon Participants Only) will be presented to all half marathon finishers immediately as you cross the finish. Then it's on to the Recovery Area. Access to Recovery Area is limited to runners only. The overall and division award winners will be announced at the Awards Ceremony on race day at 9:30 a.m. – immediately following the Kids K. Overall awards to the top 3 men and women will be determined by gun time: 19 and Under, 20-24, 25-29, 30-34, 35-39, 40-44, 45-49, 50-54, 55-59, 60-64, 65-69, 70-74, 75-79, 80+. Please note: Awards/Medals must be picked up on race day. Age group awards may be picked up at the awards table near finish. Awards and Medals will not be mailed. If for any reason you are unable to pick-up your age group award, you may pick up the medal at Fleet Feet Sports (See “Packet Pickup” information for address) beginning Tuesday, September 10, 2019. Please note: Awards/Medals must be picked up on race day. Age group awards may be picked up at the awards table near finish. Awards and Medals will not be mailed. If for any reason you are unable to pick up your age group award, you may pick up the medal at Fleet Feet Sports (See “Packet Pickup” information for address) beginning Tuesday, September 10, 2010. The overall and division award winners will be announced at the Awards Ceremony on race day at 9:30 a.m. – immediately following the Kids K. Overall prizes will be awarded to the top three men and women determined by gun time. Age group prizes will be given to the top three finishers in the following categories for men and women: 8 and Under, 9-12, 13-15, 16-19, 20-24, 25-29, 30-34, 35-39, 40-44, 45-49, 50-54, 55-59, 60-64, 65-69, 70-74, 75-79, 80+.. Award times will be determined by gun time. Please note: Awards/Medals must be picked up on race day. Age group awards may be picked up at the awards table near finish. Awards and Medals will not be mailed. If for any reason you are unable to pick up your age group award, you may pick up the medal at Fleet Feet Sports (See “Packet Pickup” information for address) beginning Tuesday, September 10, 2019. All registered participants (12 and under) are eligible to participate in the RunFit Kids K. The start of the RunFit Kids K will begin at 9:30 just east of the finish near Half Marathon Start. All participants will receive a special recognition award at the finish. The 13.1 X 2 RUNFIT MARATHON recognizes the participants who participate in two events: Albuquerque Half Marathon (April 13, 2019) and the NM Chips and Salsa Half Marathon (September 8, 2019) and by doing so will receive custom finisher medal upon completion of the NM Chips and Salsa Half Marathon 2018 and custom race bib with your name on it! (Note: You must register for the NM Chips and Salsa Half Marathon by 8/20/19 and the RunFit 13.1 X 2 Marathon by going to the RunFit website: www.irunfit.org to receive custom bib and to be eligible for the RunFit Marathon finisher medal). Post-Race: awards, refreshments and entertainment. See course map(s) below. Decide where your family and friends can cheer you on when you most need the support. There are 7 fluid and replacement fluid stations supplied by water and Gatorade (Mile 2.75, 4, 6, 8, 10 and 12) throughout the Half Marathon Course – approx. every 2 Miles. Restroom facilities will be located near the start area and the finish area as well as 2 locations along the course. Medical and first aid personnel will be stationed at the finish and at various points along the course. Note: Cut and paste link in browser. Official results will be posted immediately after the completion of each event. You will also find results posted at the event approximately every 15 minutes near the finish and on the RunFit website: www.irunfit.org, after the event. Medals that are not picked up on race day will not be mailed. However, they will be available at Fleet Feet Sports (See “Packet Pickup” information for address) beginning Tuesday, September 10, 2019. A portion of the event proceeds benefits RunFit, a nonprofit, 501 (c) 3 organization benefiting before, during and after school running program for children. RunFit launched the spring of 2006 as a bold joint initiative aimed at curbing the growing epidemic of childhood obesity by creating a running program for children at after-school (or before school) programs across New Mexico. RunFit is designed to help youth of all sizes, fitness and ability levels utilize the discipline of running to improve health, build character and uplift the spirit. After-school programs such as RunFit play a vital role in the lives our communities by keeping kids’ safe, creating healthy habits and helping working families. RunFit is a fun, free and intensive program which motivates and trains elementary school students to run one mile to 5 kilometers (3.1 miles) without stopping, through active participation on an after school (or before school) running team. Participants learn to set and achieve challenging personal goals and are awarded with incentives for attendance and improvement and culminating in local running events. Over 75 volunteers are needed to make the Half Marathon run smoothly. Volunteers are still needed to help! Please contact RunFit at (505) 217-4774 to volunteer for race day or email: stephenpino@hotmail.com. The Chips and Salsa Half Marathon is fortunate to have some of the friendliest and hardest-working volunteers around. More than 75 volunteers help us on race morning to ensure you feel welcomed, are fully informed, and have a safe, successful and positive running experience, and more! When you have a chance, give a hearty…. fun-loving thanks!